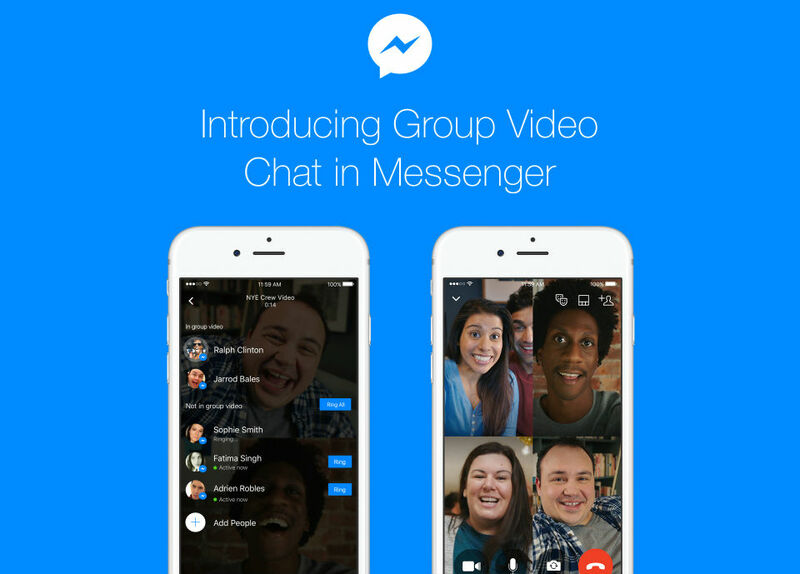 To round out a year full of new features, the Messenger team at Facebook is introducing a group video chat option for all users on Android, iOS and desktop. To sum up the feature, anyone and almost everyone can get into a group video chat simultaneously, with the service supporting up to 50 people connected to the same chat. For smaller groups, six people can be shown on your display at the same time, with everyone able to mute or turn video off at any time. For everyone, the dominant speaker (leader) will always be shown, though, unless they turn their own video off. Basically, if you have a large group of friends that all want to chat and see each other at the same time, Messenger now allows for it. On top of live video, Messenger also allows for the usage of overlays, such as wacky glasses and things of that nature. If you have ever used Hangouts, it’s essentially that experience with add-ons for the video. To use the feature, you will need the latest version of Messenger from Google Play.